In part 1 of this article we discussed how, for the first time in history, four generations are now working alongside one another: Traditionalists (Born 1925-1945), Baby Boomers (Born 1946-1964), Gen X (Born 1965-1979) and Gen Y (Born 1980-2000). And using the recent Accounting Principals whitepaper “Generation Optimization: Strategies for Recruiting, Retaining and Inspiring a Multi-generational Workforce,” we also detailed various ways companies can recruit and retain each generation in order for this blending of today’s workforce to succeed. Remember, the whitepaper says that it’s vital that employers understand the needs and expectations of each generation in order to leverage the combined potential of the group. We’ve already tackled how companies can meet the needs and expectations of each group when it comes to recruitment and retention methods. Read on to discover how your business can successfully inspire today’s multi-generational workers. Traditionalists: Remember how part 1 of this article explained that Traditionalists value respect? Well, this value plays into how a business can inspire workers from this group. The whitepaper says that attaining and maintaining respect are heavily valued by Traditionalists; so, to boost engagement of these employees acknowledge their depth of knowledge and a job well done. Baby Boomers: Boomers also liked to be acknowledged—but through raises and promotions. The whitepaper explains that Boomers place a great emphasis on relationships and seek coaching and learning opportunities. If you desire to increase these workers’ engagement levels, put a problem on their desk and walk away, the paper suggests. Boomers are imaginative problem solvers and offering them the power to make decisions, versus being micro-managed, is sure to inspire this group. Gen X: The whitepaper says that this group values work/life balance. Inspire Gen Xers through a relaxed work atmosphere where ideas can flow freely and encouraging a work area that facilitates communication. As their quality of life and work/family balance increases, productivity in your workplace will follow suit. Millennials: Similar to other generations, Millennials want to be heard. They want meaningful, fulfilling work, and they want to make a difference; so make sure your business encourages this group, patiently explains job requirements and expectations, monitors progress, and always offers feedback. Doing all of the above will go a long way in keeping your Millennial talent inspired. With the insights on how to effectively recruit, retain and inspire a multi-generational workforce, Accounting Principals also wanted to help companies put it all together in order to maximize the productivity, loyalty and unity of all four groups. Communicate set clear expectations. The common thread between all generations was the need for meaningful input. 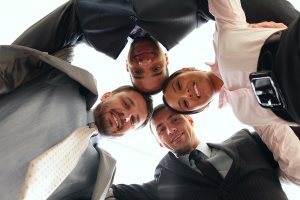 Communicating with each generation will help your company become familiar with each group’s perspectives and better prepares your business to interact with and manage all different types of workers. Younger managers must do their homework. The paper advises to consider researching the work environment of the 1970s and 1980s, remember that many Boomers are unaccustomed to not being in charge and have a difficult time taking a back seat. Don’t come across as a know-it-all, but instead respect older workers by utilizing their assets, learning from their experiences and integrating them into planning and strategy efforts. Older manager should mentor younger staff. Get to know your employees on a personal level and show them that you are genuinely interested and supportive of their success. Treat them with respect and manage them in ways you’d appreciate being managed by others. Just say “thanks.” All generations desired to receive recognition. Be sure to regularly say “thank you” to employees for the significance they make each day. And give credit for an employee’s hard work or great idea when talking to your team or your manager. Let them share the recognition. Part of appreciating your employees means understanding that they have a life outside of your workplace. Your recognition becomes even more effective when you allow employees to share it with their friends and family, whether that is via your company website or social networks. As you amplify the recognition by telling others about it, not only will your employees feel great but your employer brand will receive a positive impact.